Michael Sabido, M.D. is now certifying qualified patients for Florida’s Medical Marijuana Program at our Forest Hill office. Schedule an appointment with Dr. Michael Sabido, Certified Medical Marijuana Physician. You must to be a Florida Resident with a Valid Photo ID. Once Dr. Sabido determines you have a qualifying condition and you become eligible for medical marijuana, you will then be registered into the Compassionate Use Registry and given instructions (or choose to have one of our staff members assist) on obtaining your medical marijuana ID Card. Once you have your ID card, you will be able to obtain medical marijuana from any dispensary. Pickup and Delivery are both available. Dr. Michael Sabido will determine if you have a qualifying condition. 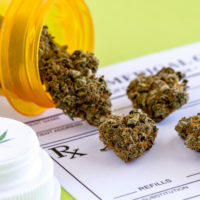 If you have a qualifying condition, you will then be registered in the Medical Marijuana Registry. You will receive your P NUMBER along with the application to mail to the State. The initial consultation is $200, plus $50 for 2 refills within 6 months.